Poppers are good fun, we all know that. But still, there are some precautions one should have when using poppers. In the video below, we list some of the no-nos regarding poppers. Poppers are a highly flammable substance so be sure to keep them away form heat and flame, and always be cautious when smoking. People with low blood pressure or any other kind of heart problems should refrain from using poppers since they dilate the blood vessels and allow more blood to get to the heart. For the reason mentioned above (among others), poppers should not be taken in combination with other drugs such as Speed or Ecstasy, and definitely should not be used with sexual enhancers as Viagra since this would put too much of a strain on one’s heart. Poppers are a chemical substance so be sure to avoid contact with your skin, nasal mucosa or eyes to prevent rashes and burns or other skin problems. Drinking poppers is strictly forbidden. Doing so can cause blood pressure to drop dramatically and lead to death by reducing blood oxygen supply to vital organs. 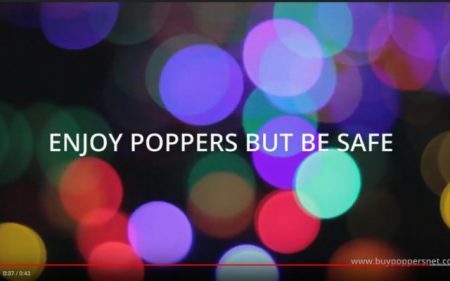 So, as we say in the video, enjoy your poppers, but please don’t forget to be safe, while doing it. Next story How to pay with BitPay on Buypoppersnet?